Calstock Village Hall is a community resource run by the community for the community. 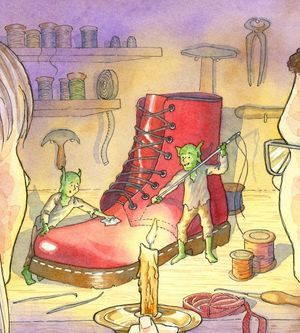 The Elves & The Shoemaker is a 45-minute long fun-packed and accessible retelling of a well-loved tale, brought right up to date with a modernised setting and the help of a host of puppets. This production is a great introduction to theatre and uses puppetry, music and visual storytelling to tell this wholesome story in a compact and delightful way. The show uses minimal speech making it more accessible to younger audiences and children with additional needs.